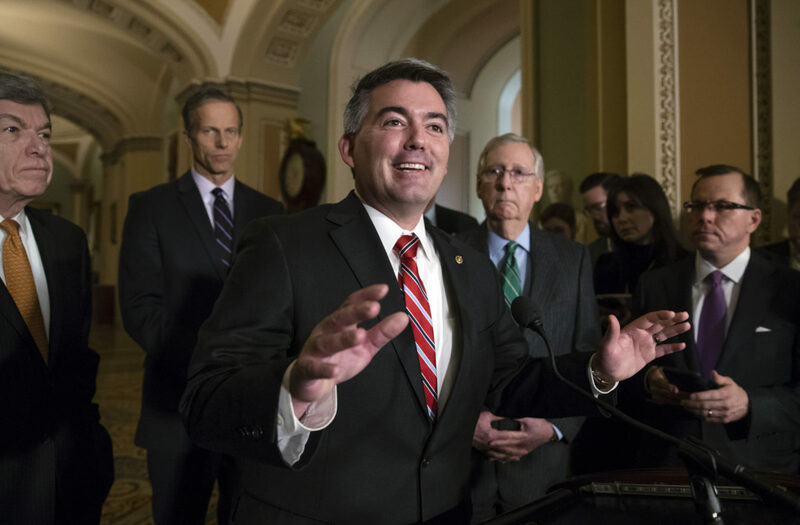 Cory Gardner is celebrating the Republican Senate victory, which, he, Mitch McConnell and President Trump deserve considerable credit for. But, as soon as one election is over, the next starts. And, in two years, it’s assumed Senator Gardner will have a very difficult re-election. While Trump’s red meat for red states strategy was a success in selected states, it was a disaster in Colorado. Trump was Congressman Mike Coffman’s main handicap and his face was used by Democrats to sweep in their statewide candidates, win a host of new legislative seats and even devastate a number of Republican county officeholders. In 2014, Gardner won with a near perfect campaign in a good Republican year against an incumbent Democrat. But his victory was only by two points, and Colorado is moving left, as demonstrated by the 2018 midterm results. He is already identified as one of the most vulnerable senate incumbents due to Hillary Clinton winning the state in 2016. The campaign will attract record expenditures and national attention. And, of course, Democrats will recruit their strongest challenger. No doubt, Trump will help to see that Gardner doesn’t have a primary, but he will be a liability in the general election. Voter turnout will be higher than in the midterm and even more Millennials will be voting. Gardner will need Democrats to overreach and make other mistakes to even out the new Colorado playing field. Why is Cory smiling? Because he plans to cut your Medicare and Social Security. Cory will get drowned in the BLUE title wave in 2020. He will continue to support Trump and the Dems will have Hickenlooper or Perlmutter to knock him off. --- you can take it to the bank.